In June 2016, we provided a comprehensive update on Patagonia’s work to investigate the emerging issue of ocean pollution from tiny fibers, which often originate from synthetic textiles (such as nylon, acrylic or polyester) that are used in products available to consumers around the world. 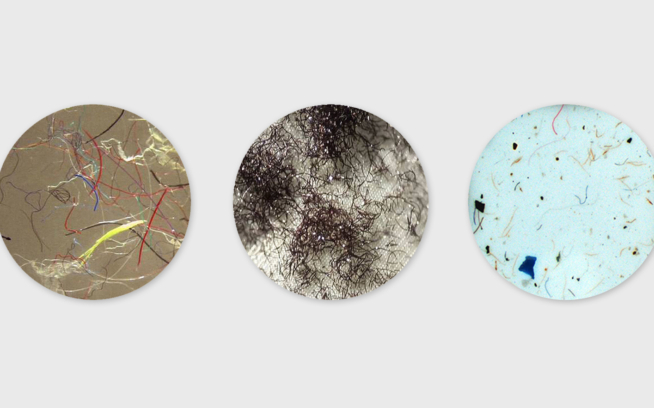 Research about microplastics pollution is just starting to emerge among scientists and our industry, but the shedding of microfibers from synthetic garments is a real concern. We’re taking it seriously—committing significant resources to learn more about the scope of the problem and develop an understanding of what steps we can take to help create impactful solutions. Since last summer, we’ve taken more important steps to research the problem and some new actions to address key contributing factors, and we wanted to give you a full update. Microfibers found in our oceans can originate from a wide variety of textiles (such as nylon, polyester, rayon, acrylic or spandex)—everything from running shorts to yoga pants to fleece jackets and more—which shows the need for engagement on this issue by the entire apparel industry and through all steps in the product life cycle. Apparel products are not the only source of microplastic particles that are entering the oceans. Other industries are also contributing to this problem, as are things like fishing nets, bottle caps, packaging and plastics bags that break down in the ocean. A key research priority moving forward is to quantify the magnitude of the contribution of the various sources of microplastics to oceans. Our washing machines represent an integral step in the path to pollution—so we’ve centered our testing on common appliances found in many homes. And wastewater treatment plants filter a good amount of microfibers (65–92 percent) but still release a significant volume of waste into the environment. So we plan to bring our findings to the appliance industry and waste operators as well. At Patagonia, we start with the knowledge that everything we produce comes at a cost to the environment. We then work continuously to lower the environmental and social costs of our products at every phase of their life cycle—from improving our manufacturing processes at every level of the supply chain to increasing our use of recycled and natural materials to encouraging reuse, repair and recycling among our customers. When making choices about where best to invest in solutions, we seek complete information to guide decision making and we aim carefully for the areas where we can make the biggest overall impact, knowing the business of making and selling consumer products always comes with certain costs. In particular, we invest in quality—because keeping a garment in use longer, which prevents the need to put it in a landfill and replace it with a new one, beats every other improvement we could possibly make. Our goals include: better understanding our own impacts, contributing to the larger body of early research currently under way and, ultimately, finding ways to improve our practices in response to more knowledge. When we convened a group of scientists, academics and public advocates at our headquarters in Ventura to discuss microplastics pollution with our leadership team, a clear consensus emerged at the end of a long, fascinating day: There’s a lot we don’t know. So we’ve taken on a leading role in support of researchers working on the topic, to inform clearheaded decision making by everyone: the apparel and appliance industries, waste operators, other researchers, the media and more. Specifically, we’ve initiated two scientific research studies. The first, which we highlighted on our blog when it was first published in June 2016 by researchers at the Bren School of Environmental Science and Management at the University of California, Santa Barbara, helped us better measure the extent of microfibers shedding from Patagonia products in the wash (and compare the results to lower-quality gear as well). The second study, which has only just begun, is being conducted in partnership with North Carolina State University with the goals of better understanding characteristics in fibers and fabrics that lead to microfiber release and developing a rapid test method to assess the potential of fabrics to shed during laundering—both of which will help Patagonia and our industry conduct R&D for new materials moving forward. We plan to share the results of this second body of work as soon as it’s completed. Going forward, significant further research is still needed to understand the various sources of microfibers in aquatic environments, the extent to which microplastics may harm the ocean ecosystems, and also how any microfibers ingested by sea creatures consumed by humans may impact human health. We need this information both for direct application into our work and so we can properly assess this issue among the broader context of many urgent environmental concerns demanding our attention in the coming years, including climate change. In addition to further research, we’re taking a more active role in educating our customers about what we’ve learned so far about microfibers entering the ocean—and, most importantly, what they can do to help right now. In the coming weeks we’ll begin providing every customer who purchases a synthetic item from our retail stores or patagonia.com with clear information about how to care for any synthetic garment—not just ours—to limit the shedding of microfibers in the wash and keeping what does shed out of the ocean. Most people tend to own a lot of clothing from all kinds of brands. This will help ensure everyone understands how they can help keep microfibers out of the ocean, even as we continue to learn more about the issue and how it may impact the environment and human health. In addition to wash tips, we will remind our customers of the importance of purchasing high quality, durable garments as one of several strategies for minimizing shedding in the laundering process. Here’s a look at what we’ll be sharing with our customers. As you take ownership of your new garment it’s important to remember that everything we buy comes at a cost to the environment. The team at Patagonia has been studying the shedding of tiny fibers from synthetic garments in the wash. 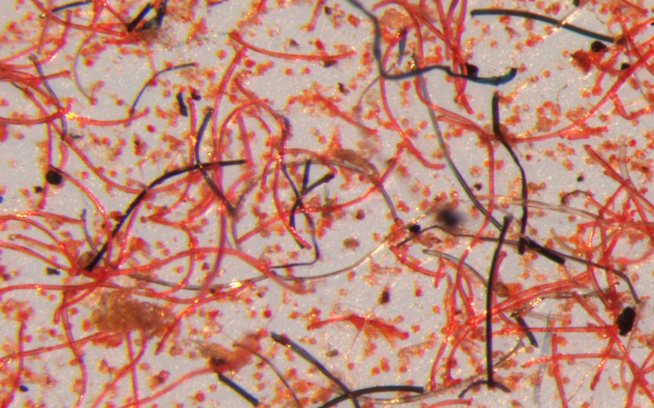 The science is just emerging, but we know these microfibers can make their way to the ocean. These simple steps will help reduce the environmental impact of your gear throughout its lifetime. Keep Using It: Keeping our gear in use longer is something we can all do to reduce our personal impact on the planet. Buy only what you need, buy high quality and make it last. In Patagonia’s recent study with researchers at the University of California, Santa Barbara, a low-quality, generic-brand fleece shed significantly more over its lifespan than Patagonia’s high-quality products (brenmicroplastics.weebly.com). Wash Less Often & Invest in a Front-load Washer: Microfibers shed in the wash—so wash your gear only when it’s absolutely necessary (you’ll conserve water in the process). Even your most-used outerwear should only need a full wash occasionally. If it’s caked with dirt (and we hope it will be), consider using a rag or sponge to spot clean rather than putting it through a machine cycle. And consider your washing machine: Studies show synthetic jackets laundered in top-load washing machines shed approximately seven times as many microfibers as the same jacket in front-load washers. Fiber Filters Help: Putting your synthetic clothing into a filter bag before washing by hand or machine can significantly reduce the flow of microfibers into your drain. Starting in the coming weeks, you can buy the easy-to-use Guppy Friend at patagonia.com throughout the United States and Europe. Or install a permanent washing machine filter (requires some plumbing expertise), like Wexco’s Filtrol 160 (septicsafe.com/washing-machine-filter). You can read more about our work on this issue by visiting patagonia.com (www.patagonia.com/blog/tag/microfibers). As always, let us know if you have questions about these guidelines or anything about your gear. Thanks for your support! In the coming weeks, Patagonia will begin offering customers in the United States and Europe an inexpensive new hand- and machine-washing bag that acts as a microfiber filter between your synthetic clothing and the drain. The Guppy Friend will be sold in Patagonia retail stores and online throughout the United States and Europe starting in the coming weeks. In Patagonia’s internal testing, its use resulted in a significant reduction in microfiber mass making its way into the wastewater stream. The Guppy Friend was developed by a partner of ours in Germany, and we’re also supporting further refinement of the product with a €100,000 grant. In addition to new research and customer education, we’ve tested additional consumer laundering solutions (including Wexco’s Filtrol 160, a highly effective washing machine filter) and are looking forward to the Rozalia Project’s microfiber catcher ball becoming available to customers later this year. We have been helping to initiate collaborative discussions about the microplastics issue within our industry (primarily in concert with the Outdoor Industry Association), and providing grants to nonprofit organizations working to bring awareness to the issue of ocean microplastics (totaling $180,000 in the past five years). In our fabric lab, we’ve continued our aggressive ongoing research and development activities in search of new biobased fabrics (long-term, we’re looking at truly biodegradable solutions for fibers and packaging). This work isn’t in response to the issue of microplastics pollution (in the past it’s produced innovations like plant-based wetsuits and advancements in our use of organically grown cotton). But it’s a critical component if we aim to build synthetic materials that shed less and offer our customers more technical apparel made from natural fabrics. We’ve also invested in a waterless textile processing company called Tersus Solutions through Tin Shed Ventures, our in-house investment fund. The closed-loop nature of Tersus’ technology allows microfibers to be captured within the system rather than flushing microfibers into our waterways. Tersus machines are already being used in commercial laundering operations, and we hope their innovations will continue to reduce the prevalence of microfibers in wastewater over time. We’re going to continue to focus on this emerging issue to gain a more complete picture of the important concerns surrounding microplastic ocean pollution and understand our best chances for leading the way toward real solutions. As we gain a more complete understanding of the problem, we’ll become better equipped to consider microplastic pollution within the entire scope of environmental and social challenges where we have an opportunity to make a positive impact—and to make clear, informed decisions as a result. We’ll keep our customers, our partners and the public closely posted along the way.